Cosy 5@7 at Le petit Laurea – Montreal restaurant | Everything Delicious. Really it is one of these little best kept secrets in the city. The restaurant’s chef prepares a special menu for the bar. We ordered cod cakes, tuna tartare, mozzarella and panko shrimps. All were extremely well prepared and a perfect match for our delicious caipirinhassss (oups, yes we had a couple!). Besides the fantastic plates, the vibe of the restaurant is great. Feels very much like being at home in a cosy candle-lit environment. And the service was perfect with an attentive yet discrete waiter. All A’s. 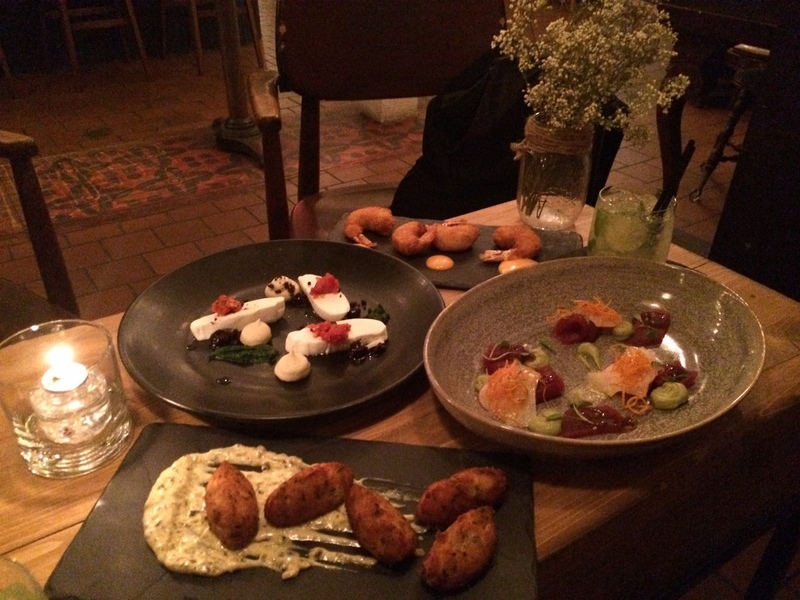 This entry was posted on October 25, 2015 by Pauline Rosen in Restaurant feed and tagged 5 a 7, bar, cod, finger food, laurea, laurier, montreal restaurant, mozzarella, restaurant montreal, shrimps, tuna.